Should you Start an Online Shop? By offering a level playing field, the Internet provides a tremendous opportunity for smaller retailers to compete with larger organisations, and to increase their sales. 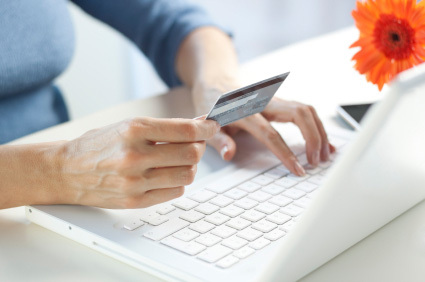 Online shopping is growing 19 times faster than trade at traditional retailers, official figures show – from the BBC website. More than a quarter of all UK purchases are conducted via the Internet, it is becoming ever more important for you as a professional retailer to become an e-retailer, to have an effective presence online. The exceptional e-Commerce growth came alongside a surge in consumer confidence in online shopping, and reflects the fact that buying online is up to six times faster than visiting bricks and mortar stores. Increasingly, cash-rich yet time-poor individuals are realising that online shopping offers them the opportunity to purchase at anytime, from the comfort of their home and without the drama of full car parks, bustling crowds, British weather and heavy bags. A major facilitator of the e-Retailing boom has been the growth of UK broadband, which has changed the way we buy online. Both business and consumer uptake is at record levels, with demand outstripping supply in many areas. By offering a level playing field, the Internet provides a tremendous opportunity for smaller retailers to compete with larger organisations, and to increase their sales. What’s more, with the substantial increase in Internet usage and a fall in the cost of selling online, over 70% of e-Business sites are now profitable. Despite this only 3% of firms are selling their products and services online, meaning a huge missed opportunity for retailers to increase their sales, customer base and profits. At the very basic level the Internet has become the first port of call for customers looking to find information, and to purchase both goods and services. In today’s ‘on-demand’ society customers are demanding more choice and opportunity… it’s no longer about what retailers think they need, but about what potential customers want. As a result, a professionally designed web solution coupled with an effective online marketing strategy has become essential for any business to cope with these demands. There has never been a better or more opportune moment for retailers to start an e-Retailing business and to take their first steps online, or to upgrade their existing e-Commerce capability to ensure that it generates as many sales as possible. It is never too late to get a fully enabled online shop up and running in time for your next promotion. For more information on the opportunities available to you through e-Commerce, for the free suitability assessment, or for anything for you to start an online shop, please contact us now.